Science, Ken Ham, and Bill Nye. Oh My! Okay, I admit, the long-awaited “creation vs evolution” debate was nothing like I imagined it would be. Like many of you, I was looking forward to Ken Ham blowing holes in the theory of evolution, trumping such made-up nonsense with the truths of creationism. Turns out the debate actually centered far less than I expected on the fine points of creation or evolution. And after reflecting upon that, I came to realize that the debate was, in fact, better this way. Here’s why. I rather suspect that the vast majority of those reading this post probably agree with my belief in creation. 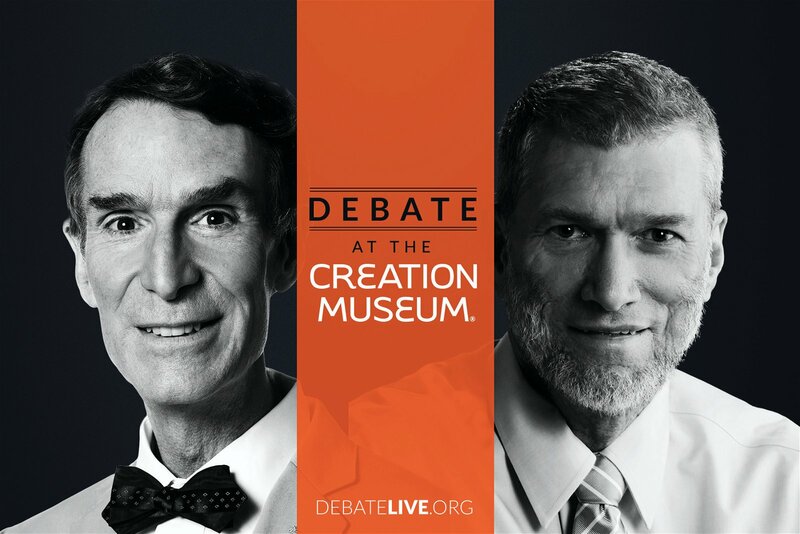 And I think most Christians, when hearing the news about this debate, automatically assumed Ken Ham and Bill Nye would get into the nitty-gritty of the fine points of creation and evolution. When they did not, many Christians were left confused, disappointed, and even a bit mad. I read comments on Facebook during and after the debate that bemoaned the entire debate. Some people were so disappointed they turned it off halfway through, others declared both sides had lost, some attacked Ken for not being a “true scientist,” others for not being a theologian, some said he wasn’t assertive enough, and some criticized him for freely speaking the Gospel instead of sticking to evolution and creation. The poor man could do no right, even among his supporters! Now, I’m no debater, and I don’t know the fine points of debate, but I did read up on the debate before it took place and read that both Ken Ham and Bill Nye were merely going into this to get discussion going. Were there questions left unanswered? Yes, on both sides. Could either opponent have answered more clearly, approached the topic differently? Sure. The same could be said for almost any debate. But this debate/discussion actually accomplished more than you might think. First of all, what was the central debate question? I honestly didn’t even know until after the debate had started. 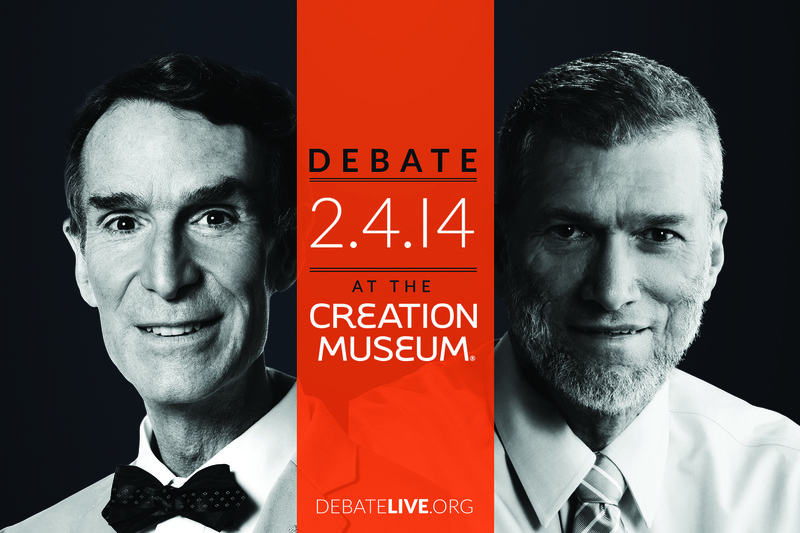 I assumed it was simply a forum for each to defend their belief- Ken Ham in creation, Bill Nye in evolution. Turns out that wasn’t the point at all, and if you came into it thinking it was, you were bound to be disappointed. The actual theme of the debate was this: Is creation a viable model of origins in today’s modern scientific era? Now, to those of us who believe the creation account, that question itself is flawed. At the very best, it’s poorly phrased. Evolution is the theory that should be questioned, not creation. But like it or not, that’s where we are today, folks. That’s the propaganda our society pushes. The “educated” community would have us believe that those who hold to the biblical account of creation are hopelessly ignorant, completely oblivious to the enlightened view of evolution. There are already articles out there asserting that “Bill Nye’s Evolution Crushed Ken Ham’s Creationism” (by Lauren Rapciak, “Geek Girl Chicago;” click here for link). The media at large would have us believe that creationists are “stupid” or at least “naive” to believe such rubbish as a God creating the world. So yes, the burden rests upon creationists to prove themselves “viable” in this scientific community. On his website, Albert Mohler (who had front row seats at the debate) wrote an excellent synopsis of the debate titled, “Bill Nye’s Reasonable Man- The Central Worldview Clash of the Ham-Nye Debate.” Click here for his article (which I highly recommend). In this article, he brings up an interesting point. Prior to this debate, Mohler says that “Nye was criticized by many leading evolutionists, who argued publicly that nothing good could come of the debate.” But a century ago, debates over creation and evolution were far more common than they are today, and “Back then, it was the churchmen who were criticized by their peers for participation in the debate. Now, the table has turned, indicating something of the distance between the intellectual conditions then and now.” Interesting. And very telling. The views have shifted fundamentally since then, and now, unfortunately, creationists have become the minority (or at least are portrayed as a minority) and have to contend with the prevailing worldview that science and human reason trump all. It is with this in mind that Ham prepared his presentation for the debate. If you watched the debate, or even if you’ve read any reviews of it, you know that Ken Ham didn’t come out swinging against the flimsy tenets upon which evolution rest. He stuck with the question on hand because he wanted to prove to the “scientific” community that creation is indeed “viable.” He cited numerous examples of brilliant scientists who believe staunchly in creation. They have made discoveries and conducted studies every bit as scientific as their evolution-believing counterparts, and they see no disconnect whatsoever between creation and science. Ham was there to assert a worldview. It wasn’t about science at all, people. It was about religion, and that’s why the debate was better this way. The lines have been drawn clearly in the sand, and on an international stage nonetheless. Ham made his stance very clear- he believes the true account of creation because of his Christian faith, and he witnessed that Christian faith clearly throughout the debate. Don’t be fooled. Those who believe evolution have made that their own religion. Honestly, it requires a lot more faith to believe evolution than it does to believe creation. They have a lot more “we don’t know yet” answers than we do. How did the matter for the Big Bang get there to begin with? Even Bill Nye had to admit they didn’t have that answer yet, although they’re confident in time they will have a satisfactory answer. Of course, we know the truth, but we cannot prove it. That’s why it’s called faith. If the debate was really over worldviews and religion, Ken did his job well. No matter what you think of his theology as a whole, you have to admit that he was pretty gutsy and specific in his Christian witness. Think of the impact here, dear ones. On an international stage, he stood there and proclaimed the Law and Gospel message. I mean, think of that! He walked us through creation, the fall, the need for a Savior, and God’s answer in the life, death, and resurrection of His Son Jesus Christ! Ken didn’t use euphemisms or glittering generalities so as not to offend non-Christians. No, he was quite specific about the fallen condition of mankind and the fact that Jesus’ sacrifice was made for the whole world. He even went so far as to state that Genesis is the reason we as Christians are against homosexuality, abortion, and euthanasia. I don’t know about you, but I don’t think I’d have the guts to stand in front of that kind of audience and assert such “politically incorrect” views. Of course he’s going to get flack from such brash statements. But he stood there calmly and spoke the truth. What’s more, he did it with gentleness and respect, as St. Peter urges us to do in 1 Peter 3:15. The truth is not popular, my friends. But we can’t let that stop us. We must stand for truth and proclaim it whenever we can. The Ham/Nye debate has the potential to pave the way for future discussions about creation and evolution. I’d love to see that happen. I’d love to see a debate where Ken Ham rips the theory of evolution to shreds. (Respectfully, of course…) Who knows what will happen? But this debate has gotten a lot of attention from both creationists and evolutionists, and that’s a good thing. It really is. It has caused many people to examine their own views and maybe even forced some to dig deeper so they are equipped to defend their creation belief. It has for me, at least. Will it change anyone’s mind? Will it sway anyone to the creation side? Maybe not. But then again, maybe it will. I’ve seen more articles and opinions about this debate than any other subject in a long time (and here I am adding yet one more article to the mix). But this debate is getting people talking and generating conversations. I’ve already had the opportunity to defend my beliefs to someone who believes in evolution. Maybe it will open doors for people to ask you your views on the subject. Perhaps it will draw people to visit the Creation Museum out of curiosity, and perhaps they will walk through the account of creation, sin, and Jesus, and come to faith. You just never know how or where the Holy Spirit will work. He can work through you. He can work through me. Maybe he can even work through a debate. Mohler’s excellent commentary hit upon one critical issue. But it ignores another and that is the untenable YEC position upon which Scripture is silent. Here was a recent debate by real scientists. Ah, I’m glad I read your article before responding. Now I know what you mean. You make a very good point, and I honestly had never thought of it that way before. I guess my question would be what difference that makes. Are you hinting that evolution “could” have happened in the intervening time? Or merely stating that it’s possible the earth is older than 6000 years? I personally believe in the YEC view, and I’d ask how you know “most Christians” do not subscribe to that. I am a member of the Lutheran Church- Missouri Synod (LCMS), and we teach a literal seven day creation account. There’s no room for theistic evolution at all. So if your point is to give a bit of “wiggle room” for a little evolution before God created light, I’d take issue. If you are merely arguing that it’s possible there was intervening time and the earth *could* have been around longer than 6,000 years, I can see your point. I’m not entirely sure what I think about that yet, but at the very least it gives me something to mull over, so thank you! As I said in my previous comment, your remarks really got me thinking and mulling things over. And since I am, after all, a Lutheran, a friend wisely suggested I turn to Luther’s commentary on Genesis. There is a link to it online. He starts discussing creation and Genesis 1 on page 39. He makes a lot of excellent points, and I encourage you to read it more thoroughly, but allow me to quote two paragraphs for you, if I may. Ken Ham stated that the winner of the debate was God’s Word, and that he was pleased that he was able to state his beliefs and tell so many people what God’s Word says. He gave a wonderful witness. This is such old news now, but what remains with me most about the debate was Bill Ney’s complete lack of preparation in regard to what Answers in Genesis teaches about creation. Most of his dumb questions are answered thoroughly on the AiG website, and aren’t the stumpers he clearly thought they were. Also, his continual and scornful references to “Ken Ham’s followers” made me want to throw something. 😛 His behaviour was just as unprofessional in the post-debate interviews he had with secular tv people who all clearly thought he’d “won”. And as for those people who said Ken Ham should have handled things differently…well, I’ve been to a lot of debates, and there’s just no way you can cover your entire platform and actually have a decent debate about it in just a couple of hours. I think Ken did a great job, and I feel bad that other Christians were giving him such a hard time about it!